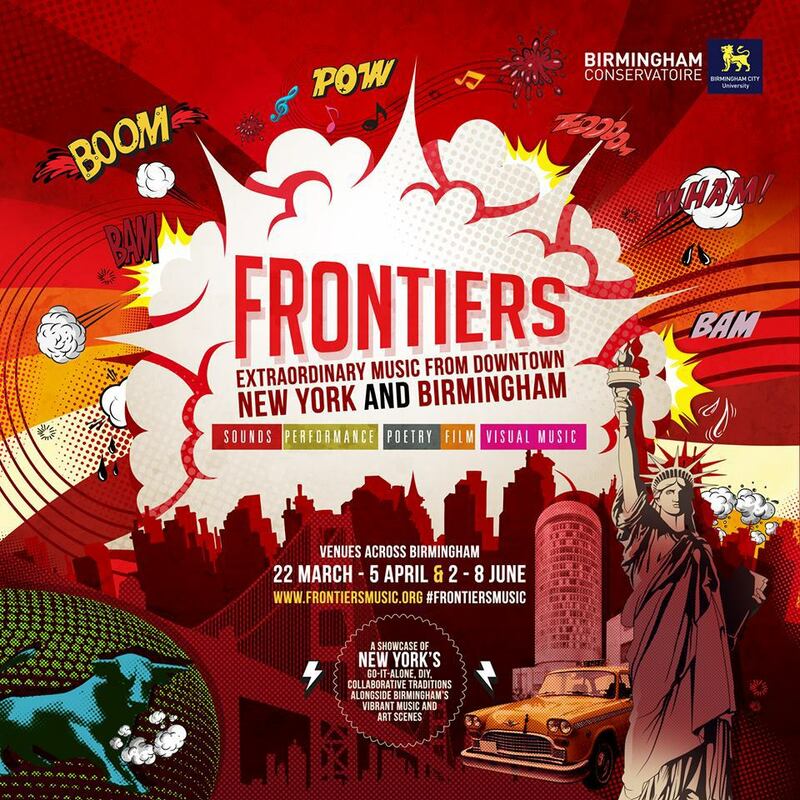 There are events going on across the city as part of Frontiers Festival, filling Birmingham with the sounds of New York. Instead of a music fest with just the sounds of local talent, 20 American musicians are descending upon Birmingham for Frontiers Festival 2014. The festival is Birmingham Conservatoire's annual celebration of new music and includes performances, film screenings, talks and exhibitions. To give you an insight into what the festival is like let me take you back to 2013 where the festival played host to a number of composers from Asia including Jo Kondo (Japan), Joyce Tuan Bee Koh (Singapore) and Tazul Tajuddin (Malaysia) amongst others. In previous years the festival featured Heiner Goebbels (2012), Louis Andriessen (2010) and Piere Boulez (2008). In a nutshell, Frontiers Festival gives way to sounds across the pond and opens the eyes and ears of music lovers. Although only a spring/summer event in Birmingham, Frontiers Festival is part of a year round platform of concerts and gigs – the Frontiers Series. If you'd like to hear more of this kind of music, follow the journey via the website.